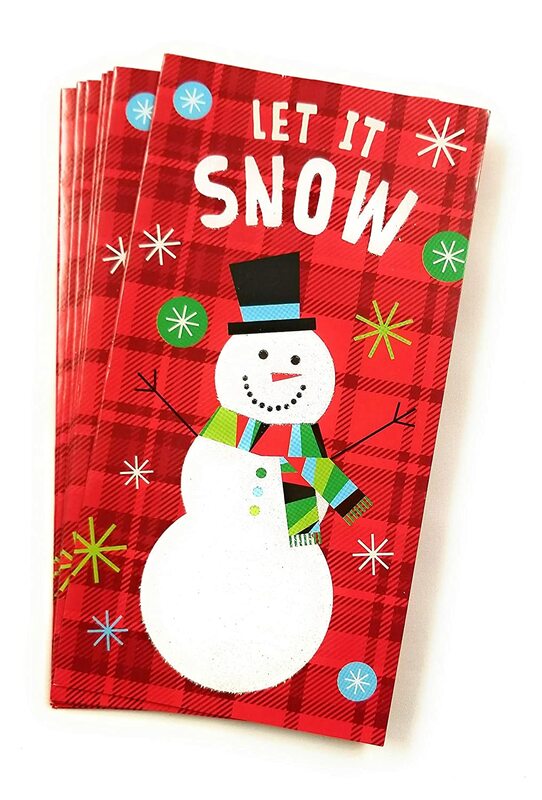 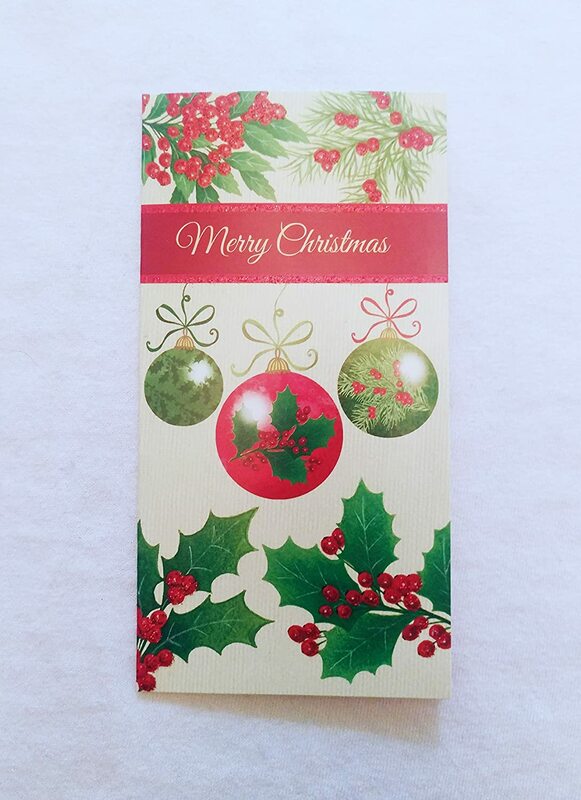 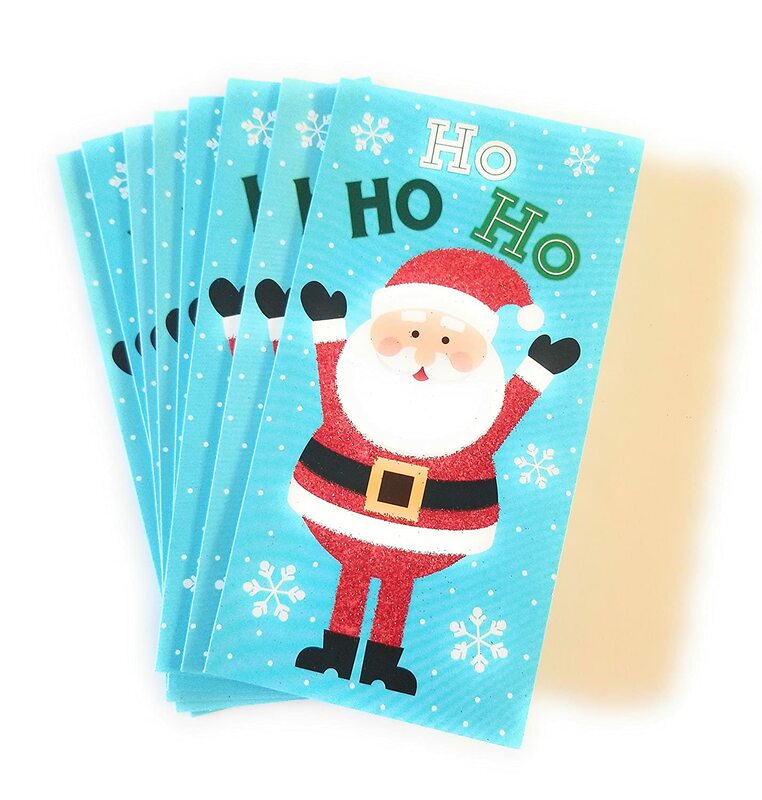 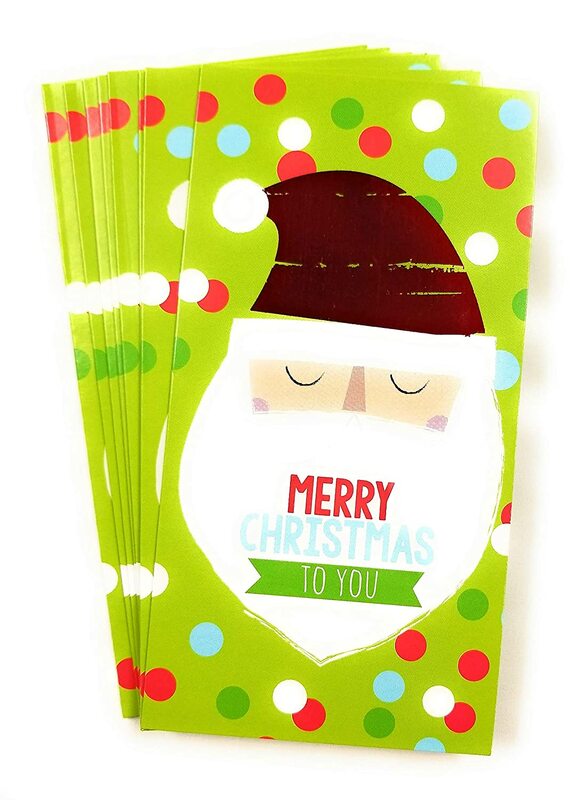 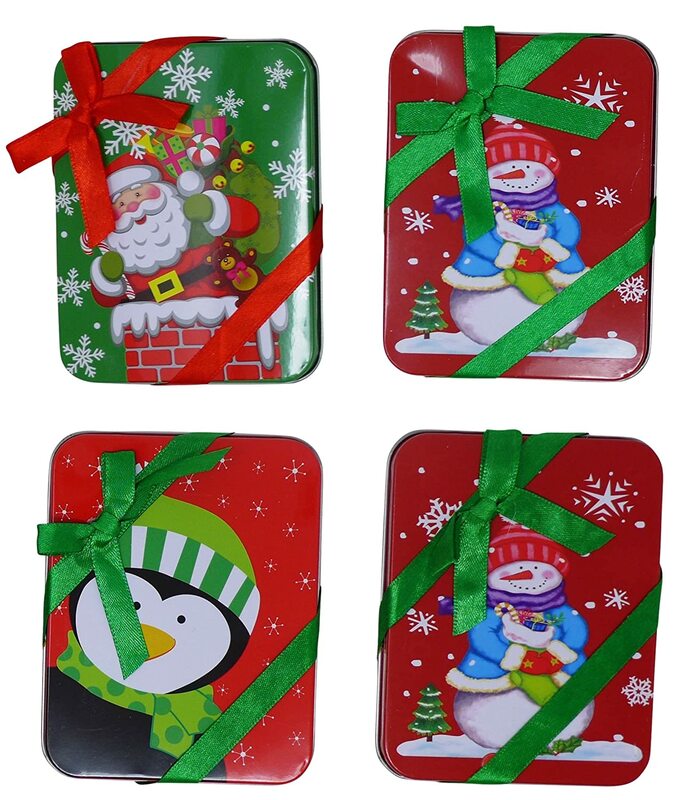 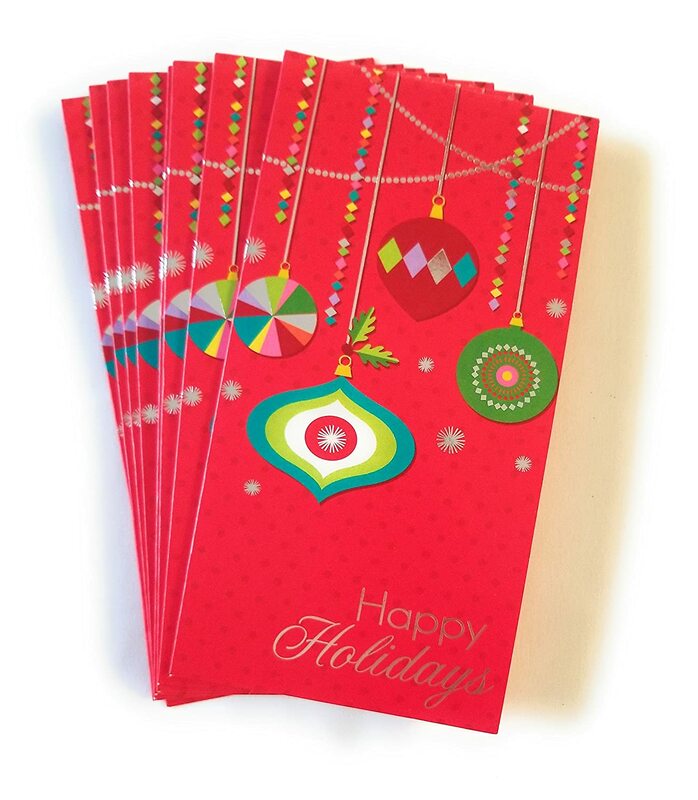 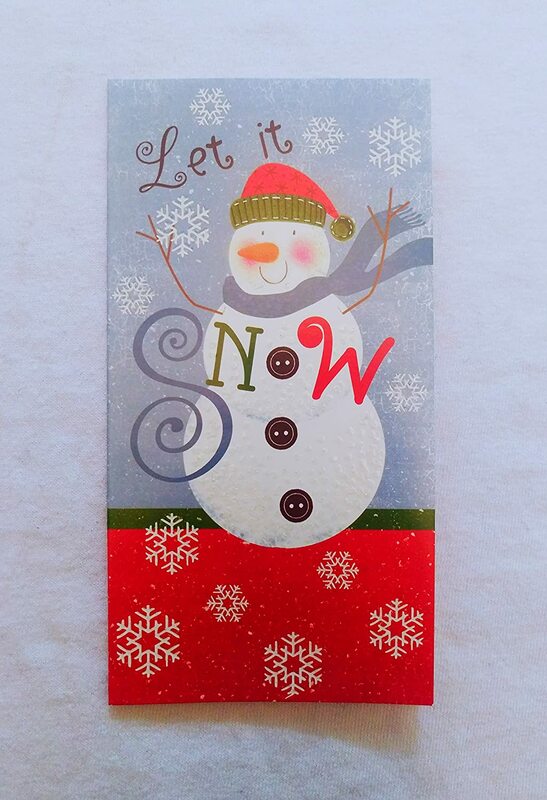 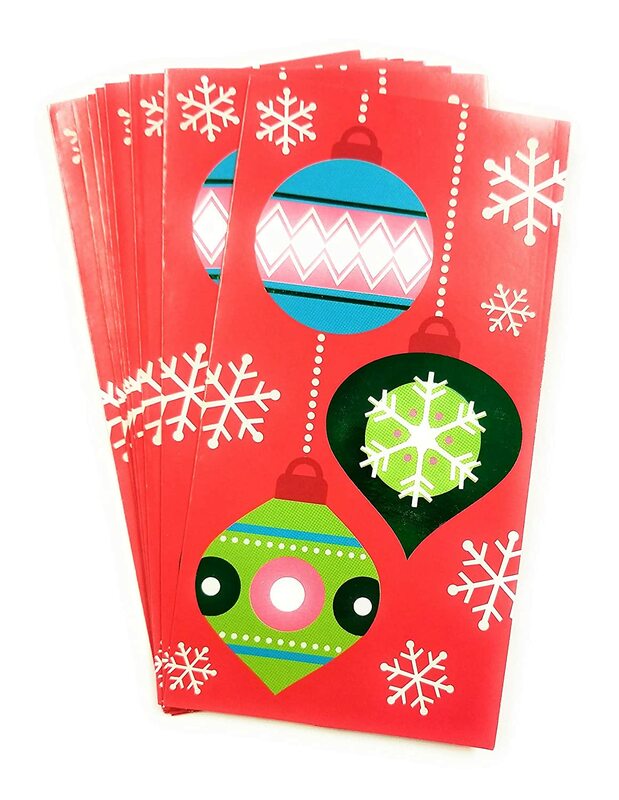 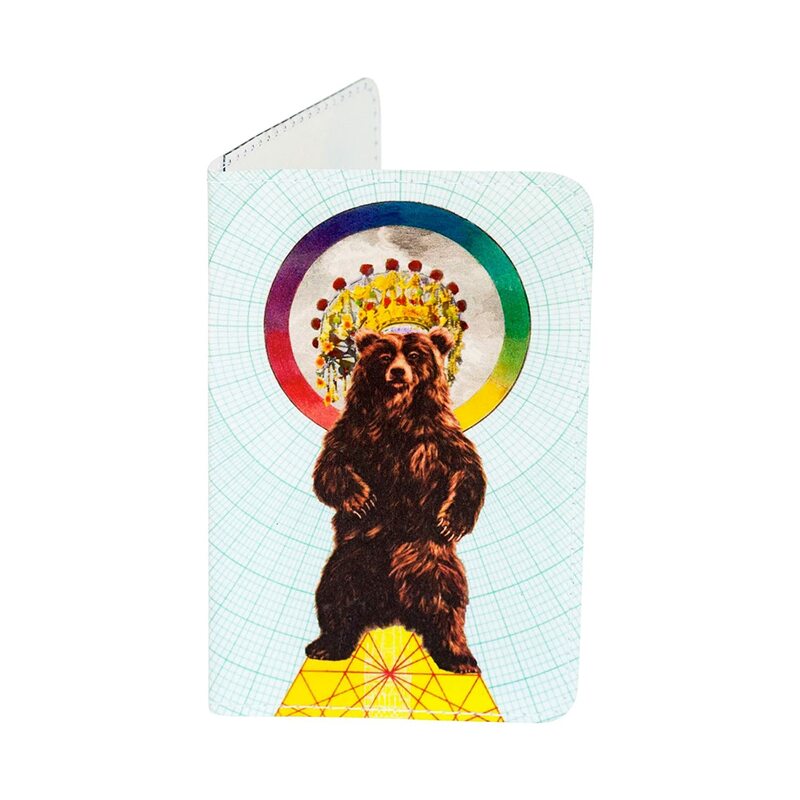 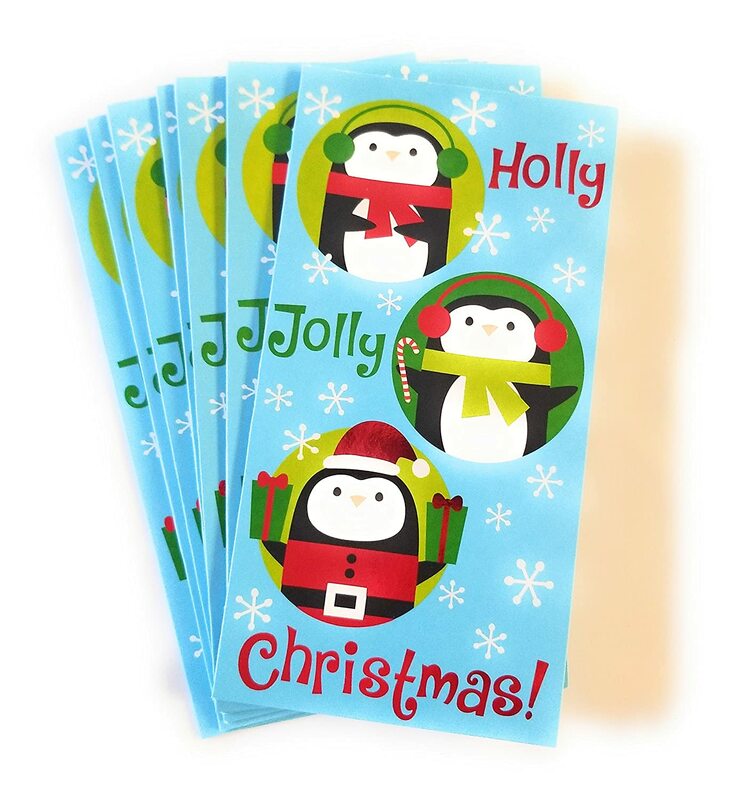 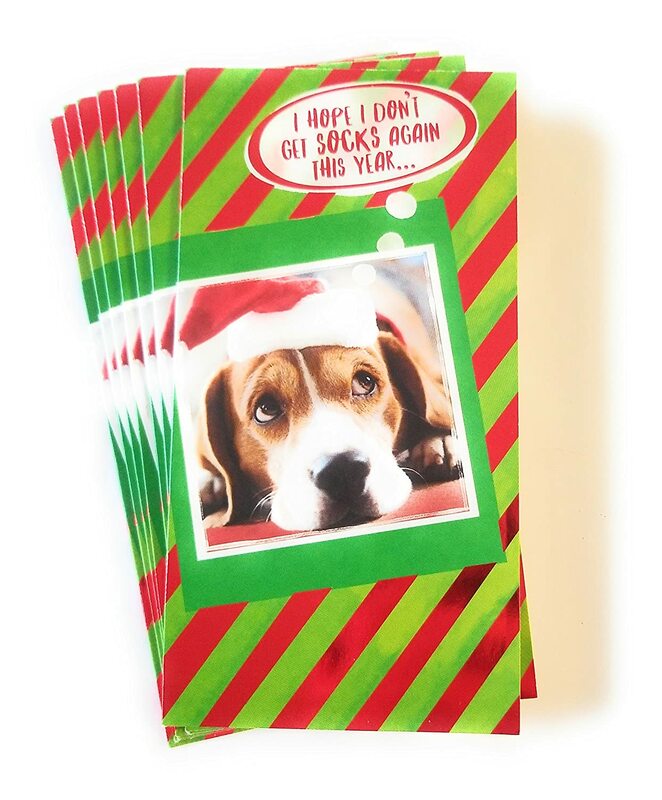 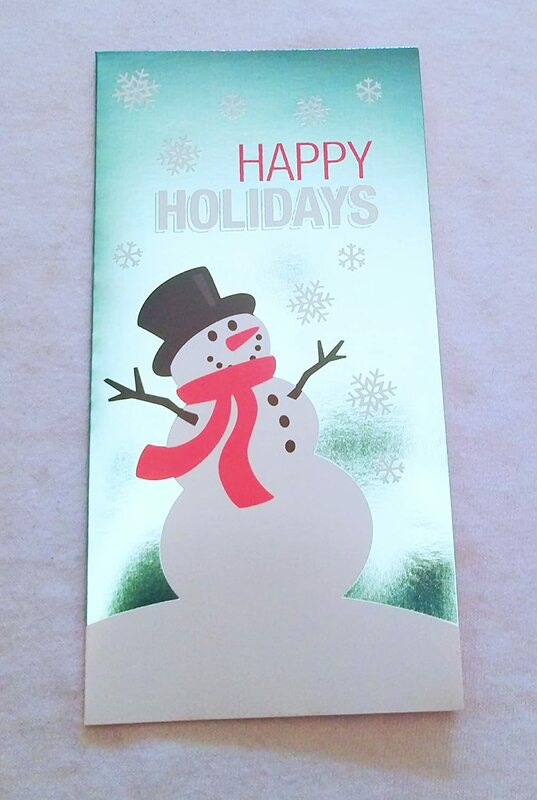 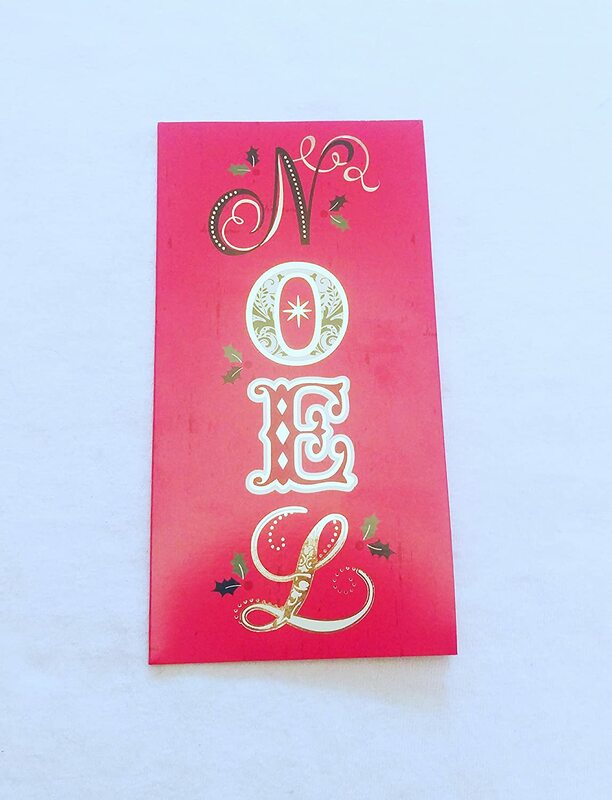 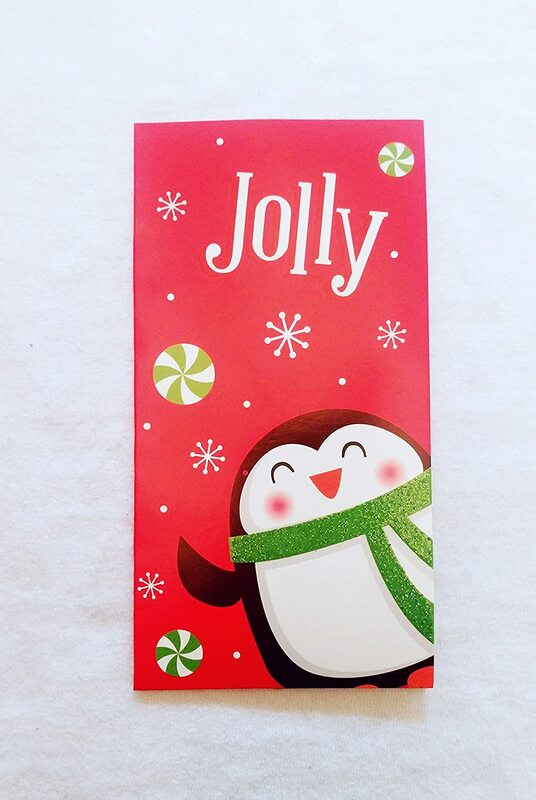 Christmas cards with money holders are perfect for the holiday gift giving! 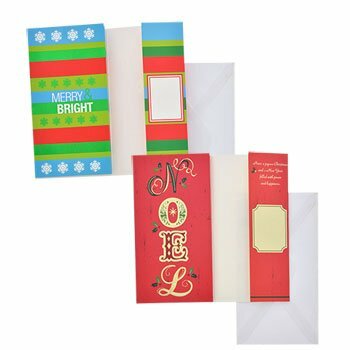 Each card has an interior pocket to hold checks or cash making them the perfect gift for those who are difficult to shop for. 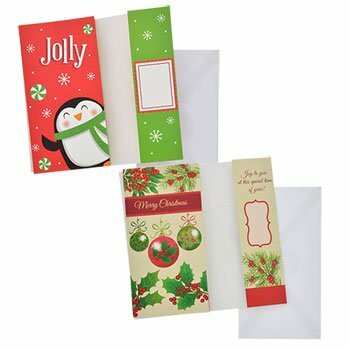 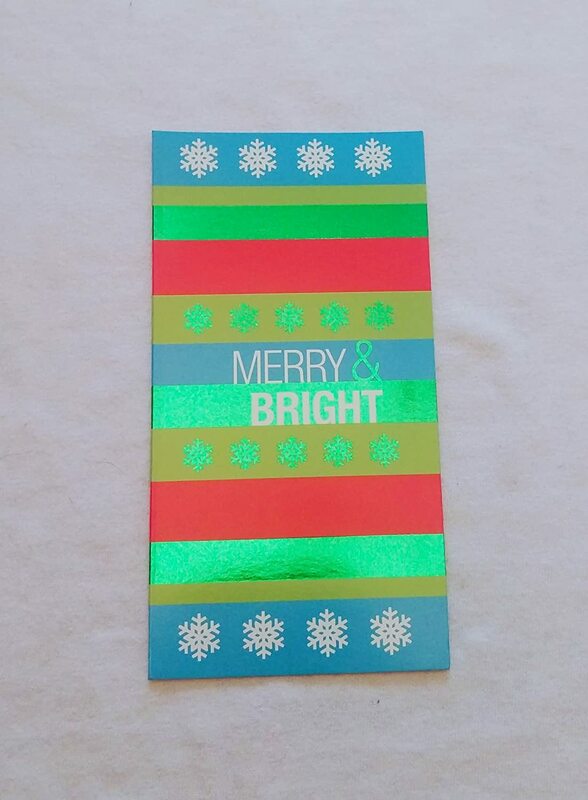 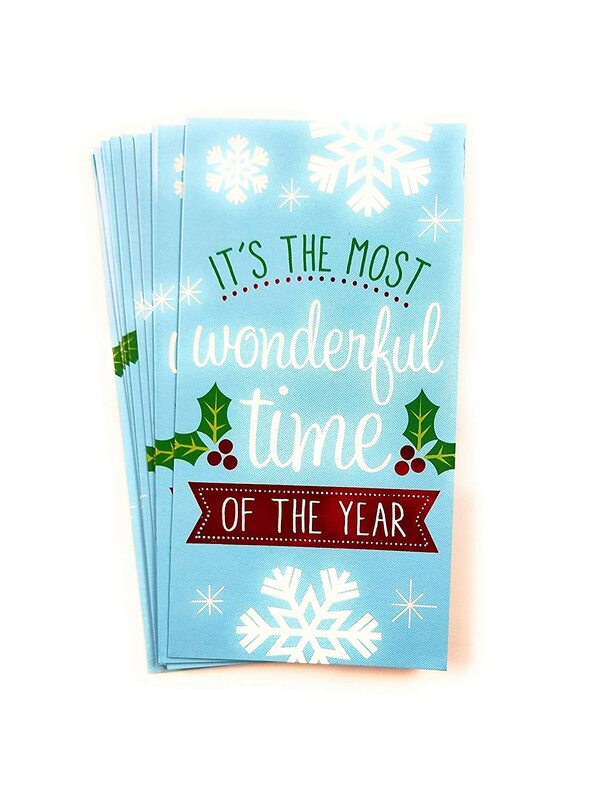 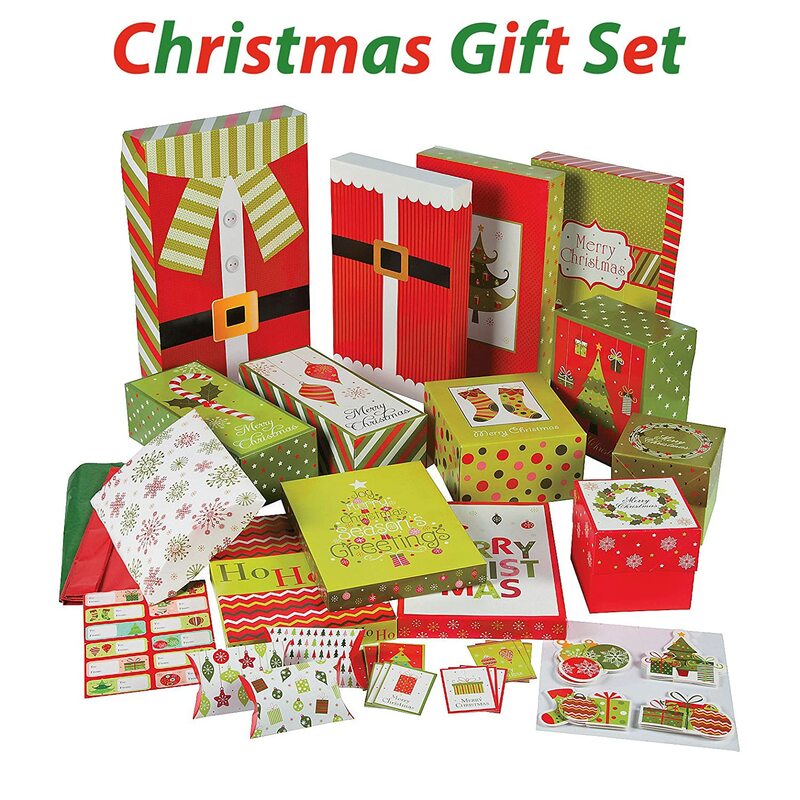 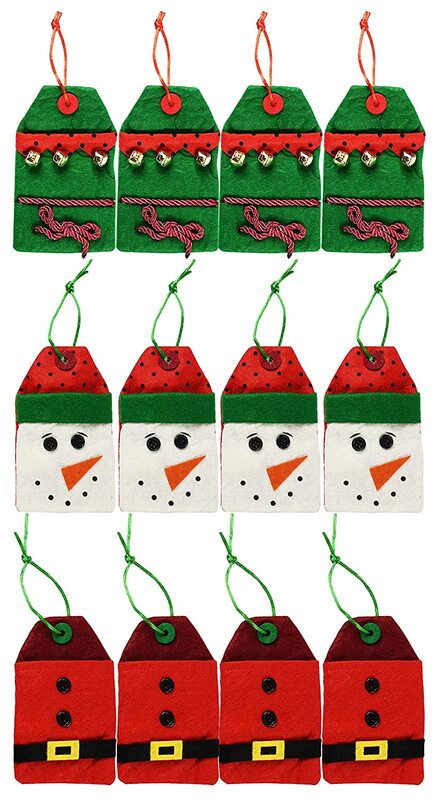 Many festive designs to choose from! 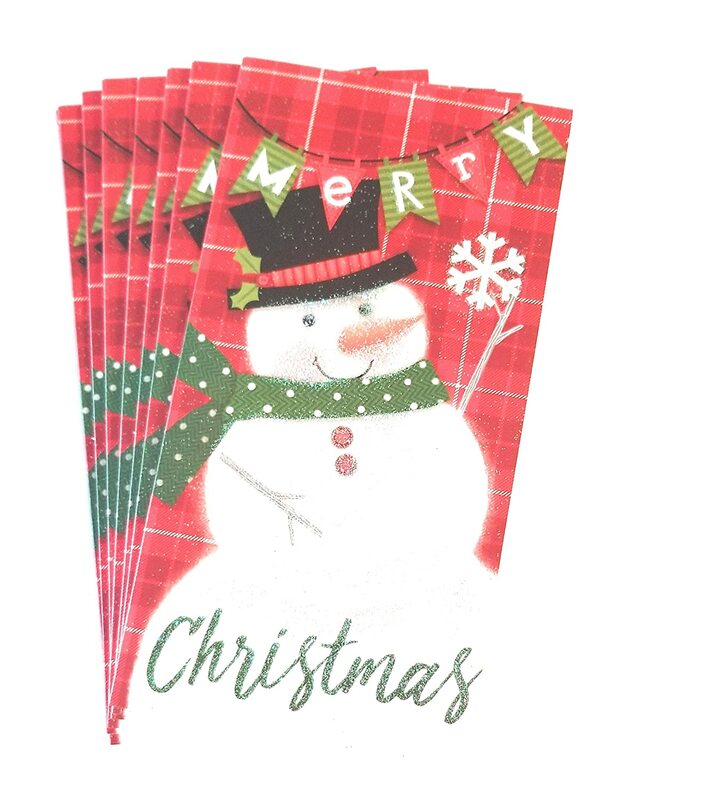 The gift recipients seemed to enjoyed the cards as well as the content. 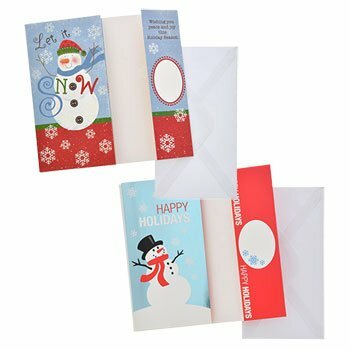 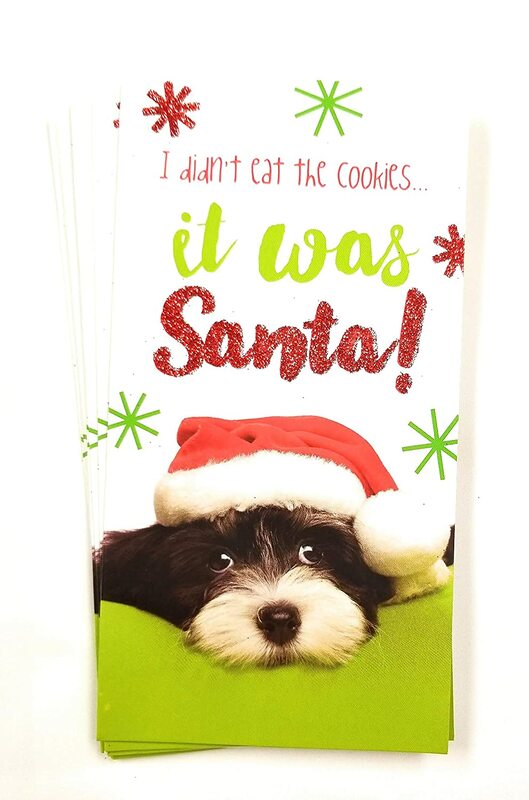 Cute cards, great quality and excellent price.